The Google Chrome extensions gallery features a large number of extensions that lets you extend the functionality of your browser and tune it to suit your needs. There are extensions that make blogging easier, help you increase your productivity, help you in online shopping, web development and many more. We have compiled a list of some awesome Chrome extensions that lets you view, edit and share photos quickly and easily. 1. Instant Image Editor – Instant Image Editor is a very simple extension that lets you edit any image or background image on a webpage by just right clicking on the image while holding the alt key. On alt + right clicking on any image, it opens a new tab with Pixlr.com’s image editing app. 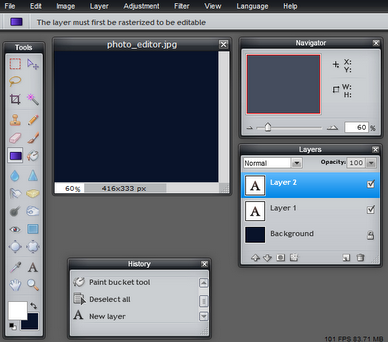 Pixlr is a really fast and easy-to-use image editing app that runs within your browser. 2. Cooliris – Cooliris provides you a really new way to view images on the web. 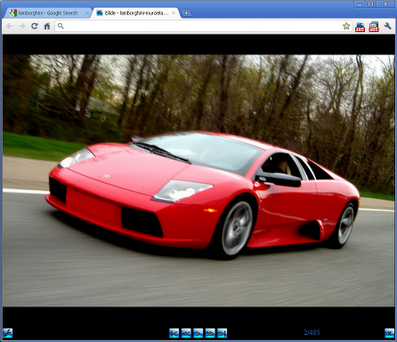 It completely transforms your browser into a fullscreen 3D wall for searching, viewing and sharing the web. It can really speed up your searches on Google Images, YouTube, Flickr,etc and also provide you the richest way to view photos from Facebook, Picasa, or even your computer. 3. Slideshow – Slideshow, as the name suggests, is a really great extension for Chrome that lets you turn your favorite photo sites such as Flickr, Picasa, Facebook, Google Images etc. into an awesome slideshow. This extension is really easy-to-use and can be really handy to quickly turn those boring photos into an attractive slideshow. 4. Hover Zoom – Hover Zoom is a must-have Chrome extension that simply enables you to view full size images by just moving your cursor over the thumbnail of that image. It can be really handy while browsing image galleries, as it enables you to view full size images of the thumbnails without even the need to load a new page. It also resizes the images automatically if they don’t fit the page. 5. Fittr Flickr – Fittr Flickr is a really handy extension for Flickr lovers. 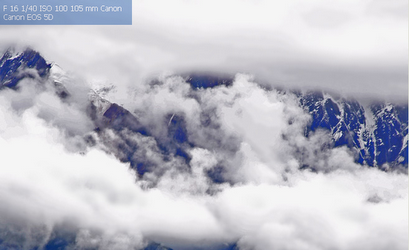 It enables you to add keyboard shortcuts, provides quick access to EXIF data, and much more. 6. Explain and Send Screenshots – This simple Chrome extension enables you to take full or partial screenshots of webpages and explain it with circles, arrows, and text. It enables you to copy the image to clipboard, download to your computer, send it as a link or also share it on twitter,Facebook,etc. 7. EXIF Reader – EXIF Reader lets you view EXIF and GPS data of any photo directly within your browser. 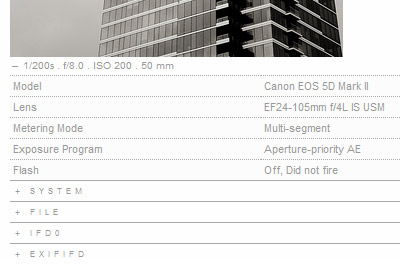 It can extract EXIF data such as Exposure time, Aperture value, Focal length and much more. It is a really handy extension for analyzing the EXIF data of any photo. 8. Pixlr Grabber – This extension enables you to capture visible part, selected area or the entire web page and edit it using Pixlr editor. 9. 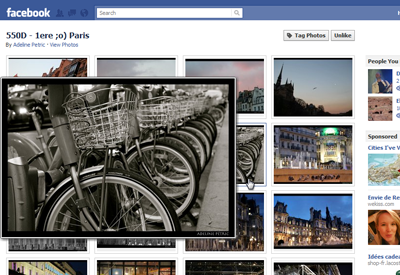 Picnik Extension for Chrome – The Picnik extension for Chrome is a combination of the Instant Image Editor and Pixlr Grabber. 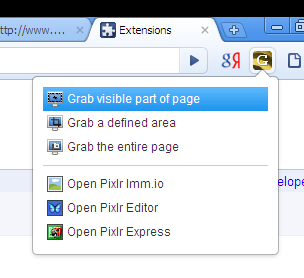 It lets you easily take screenshots of webpages and edit it using the Picnik image editor. It also lets you do the same for all the images on any webpage. It is really fast and easy-to-use. 10. iSlide – iSlide enables you to easily view slideshow from any page with image links like Facebook, Wikipedia, Google Images and many more. 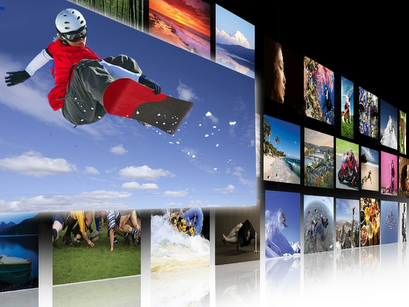 Compared to Slideshow extension, iSlide also provides you with the features to save all the images to your hard disk. Know any other extension that deserves a place in this list? 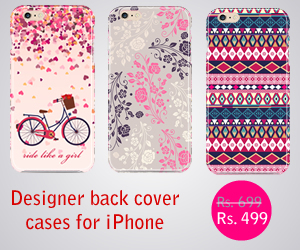 Share it to us through the comments section. My personal favorite is “Awesome Screenshots” although it still seems a bit buggy when capturing very long pages. Editing features don’t sway me one way or the other. I prefer doing all my editing in Photoshop. Here is a young chrome extension that displays all your bookmarks and your favorites search engines on the new tab page !